Eggplant is such a fantastic and versatile veggie; unfortunately it usually requires loads of oil to cook it. This recipe utilises the eggplants skin to trap the moisture so it requires no oil. Eggplants are a great veggie, low calorie but high in antioxidants and at this time of year they are a great price. 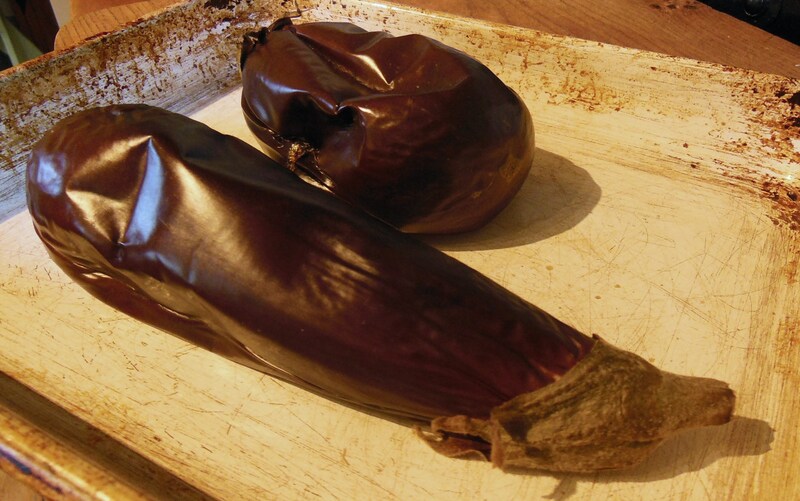 Preheat oven to 190C and place eggplant on a tray, place in oven and bake for 45 min until very soft, the egg plant should have collapsed on itself. Remove from oven and allow it to cool. Once cool to touch, break eggplant open and scoop out the flesh into a bowl or food processor. Mince garlic and add to bowl along with all other ingredients. You can blend the mixture or mash it depending if you want a smooth or chunky consistency, personally I prefer smoother. Taste and add more salt if wanted. Serve with warm pita’s or on baked sweet potato.